Founded in 1925, Shumaker, Loop & Kendrick, LLP is a full-service business law firm with more than 260 lawyers, 50 paralegals and 500 employees in its seven offices located in Toledo and Columbus, Ohio; Tampa and Sarasota, Florida; Charleston, South Carolina; Charlotte, North Carolina and Bloomfield Hills, Michigan. Shumaker is a premier provider of quality legal services to our core constituency: individuals, small businesses, health care providers, nonprofit organizations, Fortune 500 and international corporations. Our mission is to work on our clients' timetable and budget, focus on results and keep our clients ahead of the curve. Shumaker recruits and retains top graduates from leading law schools and provides young lawyers with specialized training in the areas in which they practice. Many of our lawyers have advanced degrees in disciplines related to their practices and a number have clerked for federal and state trial and appellate court judges. Eighty-two of our lawyers are listed in the prestigious publication, Best Lawyers in America. Whether it's our commitment to our clients, or to our work in the community, involvement lies at the core of everything we do. Shumaker has a long history of community support. The firm is a strong supporter of nonprofit organizations in each of its locations and firmly believes in giving back to the communities it serves. The Leadership Shumaker program enables and encourages lawyers and staff to contribute both time and money to various public, private and not-for-profit organizations that promote the general improvement of our neighborhoods and communities, benefit our most economically disadvantaged citizens, and promote the arts and other sources of economic development. We hope to make a positive difference in the communities in which we work and live. Shumaker has met the expectations of business clients that require this level of service. For today's sophisticated clients, Shumaker offers a total package of quality, experience, value, responsiveness and an uncompromising commitment to servicing the legal needs of every client. That's been the tradition of Shumaker, Loop & Kendrick, LLP and remains our constant goal. This is what sets us apart. Kate Decker, pictured center above, was a recipient of the Ohio State Bar Foundation Award. Shumaker, Loop & Kendrick, LLP is committed to attracting, retaining, and promoting individuals of diverse backgrounds to ensure that our firm reflects the clients we represent and our values of inclusion. We believe that embracing differences in ethnicity, race, sexual orientation, age, socio-economic status, religion, and other characteristics, helps us consider the full range of perspectives our clients face and the goals they seek to achieve, allowing us to provide more creative, insightful, and complete guidance and counsel. By affirmatively embracing and appreciating those differences, we create a supportive working environment at Shumaker for all individuals of the firm. Our Women’s Leadership Initiative fosters the development of our female attorneys at each stage of their careers. Creation of a Diversity Committee to coordinate and direct our diversity initiatives. Our committee is made up of partners (including at least one member of the Firm’s management committee), associates, and administrative personnel. 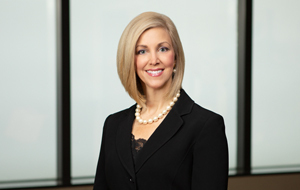 Recipient of the 2013 Gold Standard Certification by Women in Law Empowerment Forum, which is given only to firms that have demonstrated that women represent a meaningful percentage of their equity partners, are involved in the highest leadership positions and have meaningful representation in the ranks of the firm’s most highly compensated partners. Shumaker was one of only 47 firms in the country to have received this prestigious award in 2013. Creation of Shumaker’s Women’s Leadership Initiative, a firm-sponsored group dedicated to promoting, developing and fostering the potential of our female attorneys, helping them to navigate a path to a successful and satisfying legal career at the Firm, and to serve as leaders within the legal and business communities. Membership and active participation in organizations that support diversity initiatives in our communities. Such organizations include, without limitation, racial, ethnic, disability, gender/LGBT, and age initiatives. Diversity in our hiring, advancement, and leadership practices, for attorneys as well as staff members, including our Summer Associate Program. Annual participation in the Toledo Bar Association’s Minority Clerkship Program. Annual participation in the Ohio State Bar Foundation Law and Leadership Program, a program to establish a pipeline into the legal profession for disadvantaged students from underserved schools. Membership in Partners in Education, a program in which our employees serve as tutors and mentors and provide ongoing financial support to area schools and students in need. Cultivation of leadership opportunities among all attorneys and staff, recognizing the importance and benefit of diversity in leadership. Firm-wide participation in periodic diversity education seminars or training programs. Informal programs implemented firm-wide to enhance our awareness and understanding of the importance and benefits of diversity among our workforce and promote inclusion. Shumaker, Loop & Kendrick, LLP is an active member of a network of independent law firms that extend our ability to exchange professional information among members and serve our clients' needs, both nationally and internationally. Shumaker, Loop & Kendrick, LLP is a member of Globaladvocaten, an international network of leading law firms providing high-quality legal advice across the world. The network, formed in 1990 under the name Euroadvocaten, included independent law firms across Europe. Recognizing the global reach of its clients, the network changed its name to Globaladvocaten in 2017 and provides access to in-depth experience of over 800 lawyers working in 25+ countries. We are a charter member of The Toledo Group, a national network of independent law firms that seeks to share experiences and best practices in law firm administration, practice management, technology deployment, and service delivery. Member firms are available to provide legal advice to clients in their respective jurisdictions around the country. Shumaker, Loop & Kendrick was founded in 1925 by Harold W. Fraser (1872-1945), a native of Canada, who came to Toledo, Ohio in 1891 and entered the law office of E.W. Tollerton. Mr. Fraser was admitted to Ohio practice in 1894, although he did not become a United States citizen until 1897. In 1896 Marshall and Fraser (the order of names chosen by the flip of a coin) was formed and became the first tenant in the Spitzer Building, located in downtown Toledo, occupying one large room on the fifth floor. Marshall and Fraser was dissolved on January 31, 1925, and Mr. Fraser formed Fraser, Hiett & Wall consisting of three partners and four associates from the old firm: Harold W. Fraser, Stanley J. Hiett, Hampton G. Wall, Alonzo C. Ruihley, George R. Effler, John W. Winn, Jr. and Roscoe W. Shumaker. The firm practiced at 710 Home Bank Building. In 1952 the current firm name was adopted. In 1960, Shumaker, Loop & Kendrick became the second tenant in the newly-constructed Libbey-Owens Ford Building at Madison and Michigan Avenues. In 1981 the firm moved to a renovated warehouse, formerly known as the American Plumbers Supply Company Building. A new entrance was constructed and a new address assigned: 1000 Jackson. In 1985 the ABA Journal awarded Shumaker, Loop & Kendrick First Prize for Civic Commitment for the extensive renovation and landscaping of the firm’s new quarters in Toledo. The prize was one of several awarded as part of the Journal’s first Law Office Design competition. The building sits on three acres and is just northwest of the Lucas County Courthouse. The completed project cost $3.8 million and represents Shumaker, Loop & Kendrick’s commitment to downtown Toledo. A new two-story 15,000 square-foot addition in 1998 raised office space to 83,000 square feet.